A collection of Bible book studies! 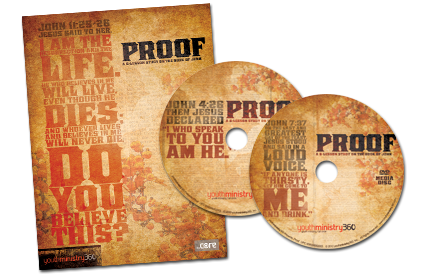 Includes 18 solid weeks of Bible Study covering John, James and Colossians! 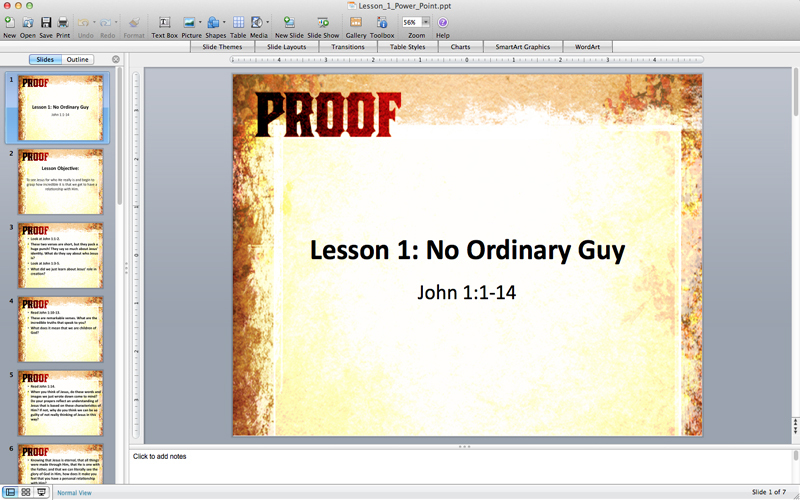 Includes 18 solid weeks of Bible Study covering John, James and Colossians! 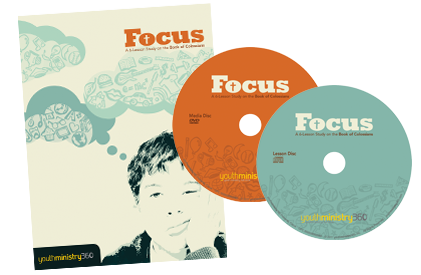 Teach Focus to help students' lives reflect a single-minded devotion to Christ, making him the focus of all they are. • This is not a video-based curriculum. 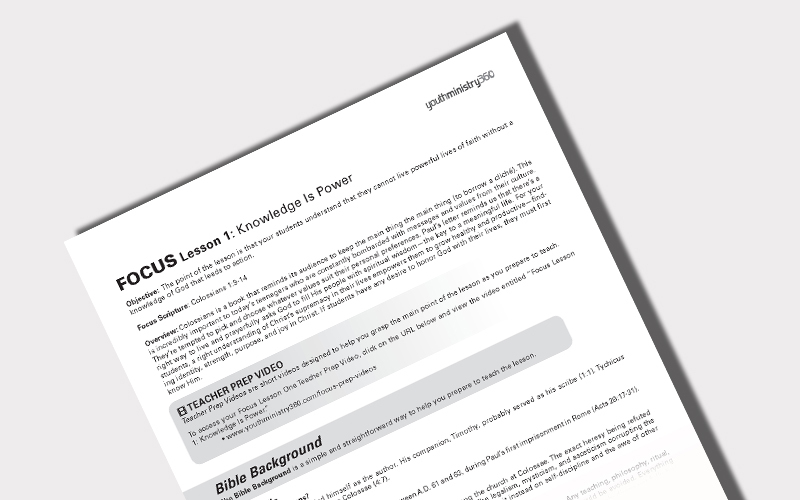 The heart of these studies is you (or a leader) teaching the Bible to students using the this curriculum. 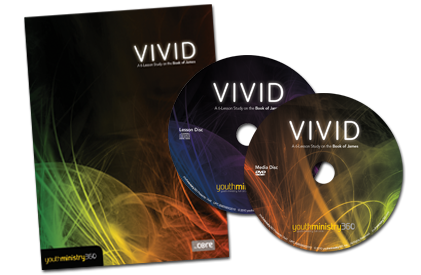 Each lesson includes interactive media of some sort. Three of six lessons in each study begin with a short illustration video like this one to grab your students’ attention and get them ready to engage with the lesson. 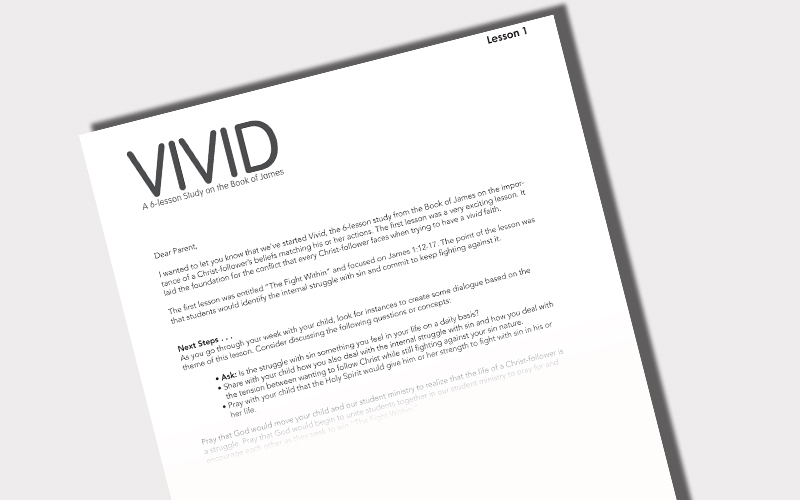 Partnering with your students’ parents to disciple their children is vital. 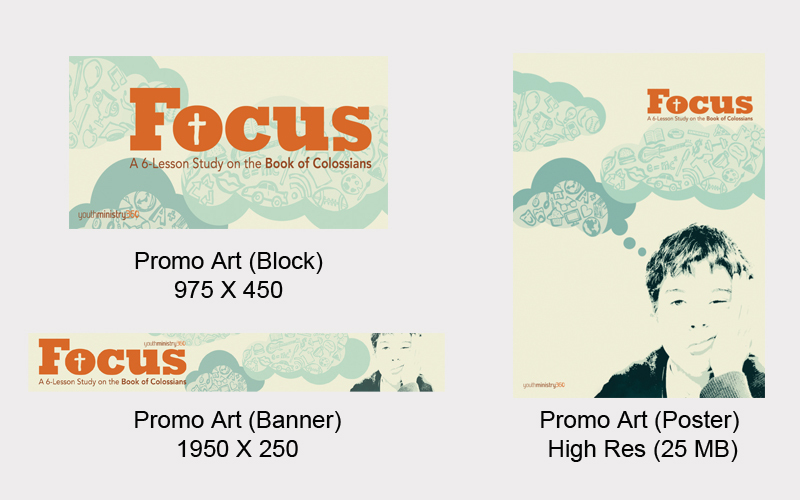 That’s why these studies are complete with Parent Pages in Word and PDF format for each lesson. 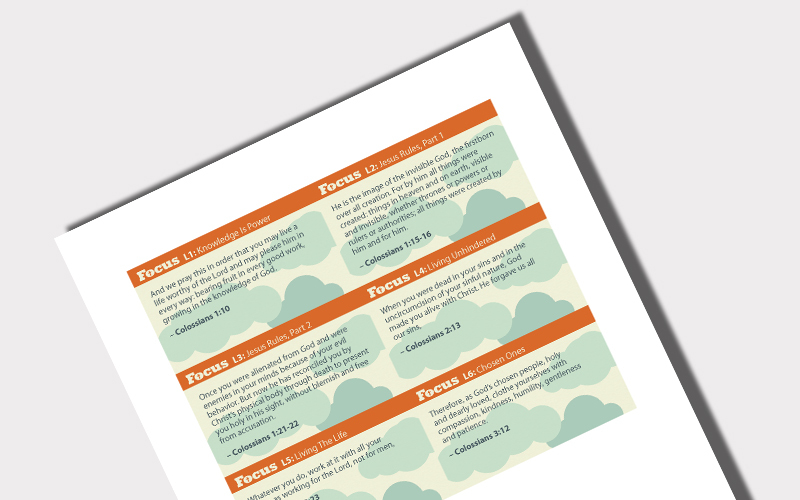 Each lesson includes a one-page PDF of creatively designed memory verse cards that correspond with each of the six lessons. 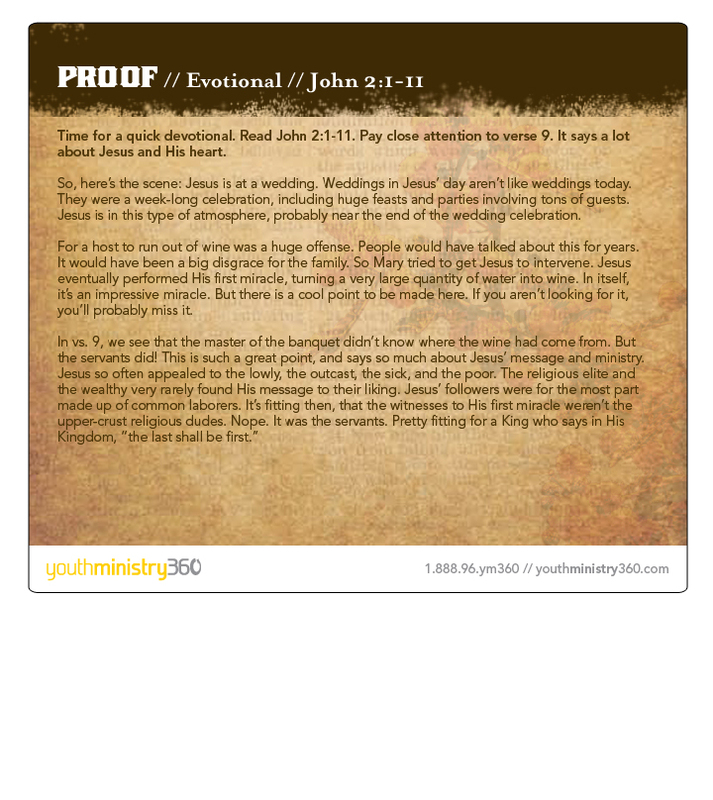 Each study includes digital files to help you promote your six-week study on the web or around your church.